»Delhi To Rajaji National Park – An Expedition Into The Wild! Delhi To Rajaji National Park – An Expedition Into The Wild! Watching animals in their natural habitat is an exciting experience. And unless you are a wildlife photographer or have any job involving forests and animals, doing so is only possible by travelling to wildlife sanctuaries or national parks. India is spread with these in abundance and luckily for the folks of Delhi, there are quite a few options. One of them is the Rajaji National Park that is located in Uttarakhand, at a distance of 245 km from Delhi. Sprawling across a vast area of 820 sq km, the park is rich in its biodiversity, flora and fauna, making it a great getaway for nature and wildlife admirers. The park is nestled on the foothills of Shiwalik ranges of the Himalayas and is a mix of Chilla, Motichur and Rajaji sanctuaries that is spread across three districts of Uttarakhand. Best time to visit the park, which also happens to be the only time it is open, is between the months of mid-November to mid-June. By Air: Jolly Grant Airport in Dehradun is the closest airbase, which is only a few kilometres away from the north side of the park. Flights from Delhi regularly connect to this airport. By Rail: The three railheads closest to the park are the railway stations in Rishikesh at 18 km, Haridwar at 24 km and Dehradun at 56 km. You can book trains from Delhi to any of the mentioned stations according to your convenience, from where taxis are easily available to the park. By Road: Rajaji National Park is well connected to neighbouring cities by road. You can either drive, hire a cab or use the state government buses that are available to the park. Here are the routes you can use if you're travelling by road. The bumbling city of Muzaffarnagar is located 127 km from Delhi. Slowly turning into an industrial hub, the city is spread with religious places of interest. The city was established by a Mughal commander named Sayyid Muzaffar Khan, in 1633. Some places you need to visit in the city include Ganeshdham, Vahelna, which is a small village that is home to a Jain temple, which has a 31 ft long idol of Lord Parshvanath, an ancient banyan tree called Akshay Vat Vatika, etc. The picturesque park, which is also a tiger reserve, is home to rich biodiversity along with river Ganga that flows through certain parts, small cascades and thickets of the semi-evergreen deciduous forest. Some of the other animals, apart from Royal Bengal tigers, that you can witness here include wild boar, sambar deer, porcupine, cheetal, goral, Asian elephants, etc. A jungle safari is available through the park with the permission of the forest department. 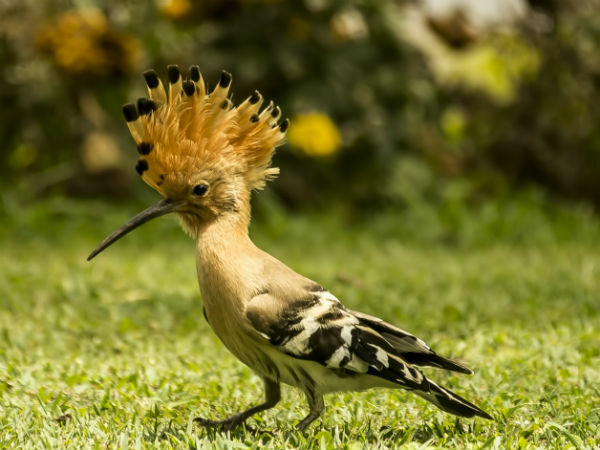 Since the park is home to over 400 species of beautiful birds, such as hoopoe, pied kingfisher, Asian koel, drongo cuckoo, etc., grab your binoculars for a spectacular birdwatching session. River rafting is also available on the river Ganga. Entry fee for Indians is Rs 150 and Rs 600 for foreigners, for a visit of 3 hours. Entry timings of the park is between 6 am to 9 am and 3 pm to 6 pm. Extra charges are applicable for vehicles, cameras and guides. Jungle safari and river rafting are available on additional charges.